This comprehensive 32-week program trains you, the owner, as well as your dog and goes far beyond what is being offered by pet shops. You and your dog will receive everything included in our Dog Obedience Training (Level 1) and AKC Canine Good Citizen (Level 2) programs and in addition, your dog will be trained for reliable off-leash behavior and certified as an American Kennel Club (AKC) Community Canine Good Citizen (ACGC). Trust your dog at all times! Your dog is reliable in everyday life situations and is calm around dogs and people. Enjoy your dog walking next to you off-leash and staying by your side in crowds, on a hike, etc. Enjoy your dog coming back to you when called under distractions in public. Every single time. Know that your dog won't move when asked to stay, regardless of distractions. Enjoy some bragging rights. Your dog will be a certified Community Canine Good Citizen (ACGC) by the American Kennel Club (AKC). You will be able to trust your dog at all times! AKC Community Canine is the advanced level of AKC's Canine Good Citizen (CGC) program. The AKC's Community Canine Good Citizen Program is designed to recognize dogs who have good manners at home and in the community. This rapidly growing nationally recognized program stresses responsible dog ownership. 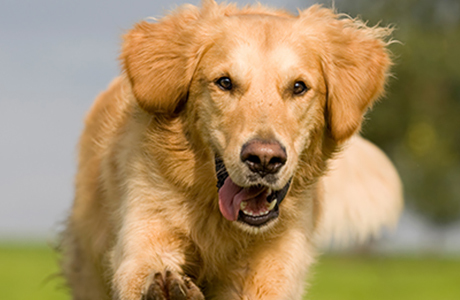 All dogs who pass the 10-step ACGC test may receive a certificate from the American Kennel Club. The Advanced Canine Good Citizen (ACGC) test consists of 10 skills needed by all well-mannered dogs. Test 1: Dog Stands, Sits or Lies Down and Waits under Control of Owner - The dog waits while the owner sits and has a snack or visits with another person (e.g. at a park). Test 2: Walk on Loose Leash in Natural Situation - The dog walks on a loose leash, staying by the owners side for a left turn, right turn, stop and fast and slow pace. Test 3: Walk on Loose Leash through Crowd - The dog walks on a loose leash in the community, dog walks on sidewalk, through a crowd at a community fair, park, on a trail, through a busy hallway, etc. Test 4: Walk Past Distracting Dogs - The dog walks on a loose leash in the community, by other dogs on a trail, sidewalk, in a hallway, etc. Test 5: Sit and Stay in Small Group - Three other people with dogs stand in an informal circle/square while the owners have a conversation. The dogs are all by the owner's side, on leash, 3 ft. apart for at least 30 seconds. Test 6: Petting - The dog allows a person who is carrying something (i.e. backpack, computer bag, etc.) to approach and pet it. The person asks "May I pet your dog? ", places the item on floor/ground and pets the dog. Test 7: Leave It - The dog walks by food and follows the owners instructions "Leave it." Test 8: Down or Sit Stay at Distance - The dog is on a 20-ft line, the owner walks away with back to dog, picks up an item (e.g., backpack, training bag, clipboard, folder etc.) placed on the floor/chair/ground and returns to the dog. Test 9: Recall Under Distraction - The handler goes out 20 ft. off center and calls the dog. Test 10: Wait - The dog will sit or stand stay (owner's choice) while owner enters/exits a doorway or narrow passageway. The owner calls dog through door when ready.